Retrieve lost items that have fallen overboard or over a dock. 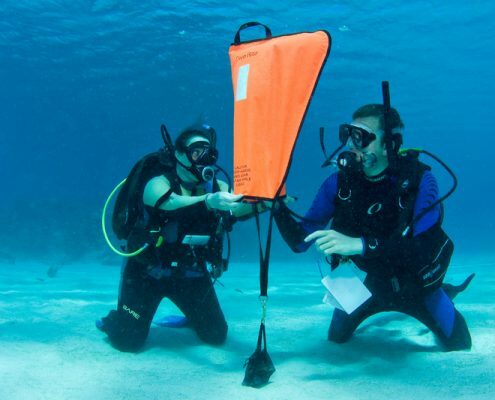 The PADI Search and Recovery course teaches you effective swimming patterns and how to use a lift bag for heavy objects. PADI (Junior) Advanced Open Water Divers who are at least 12 years old can enrol in the Search and Recover Diver course. PADI (Junior) Open Water Divers with a PADI Underwater Navigator certification also qualify.